Wanna hear something funny about this one? I had never met Brittany in person until just a few months ago...at the National FSA Conference. I had been staking her blog for a while..then it went private and I was too chicken to ask for an invite. Then it was public again, I friended her on Facebook and we became adoption peeps. She posts a lot about adoption - and I always appreciate her insights. But I'd read her blog anyway...just for pics of their adorable little Liam...he is a stud. We are Que and Brittany and we met as teenagers in 1995. 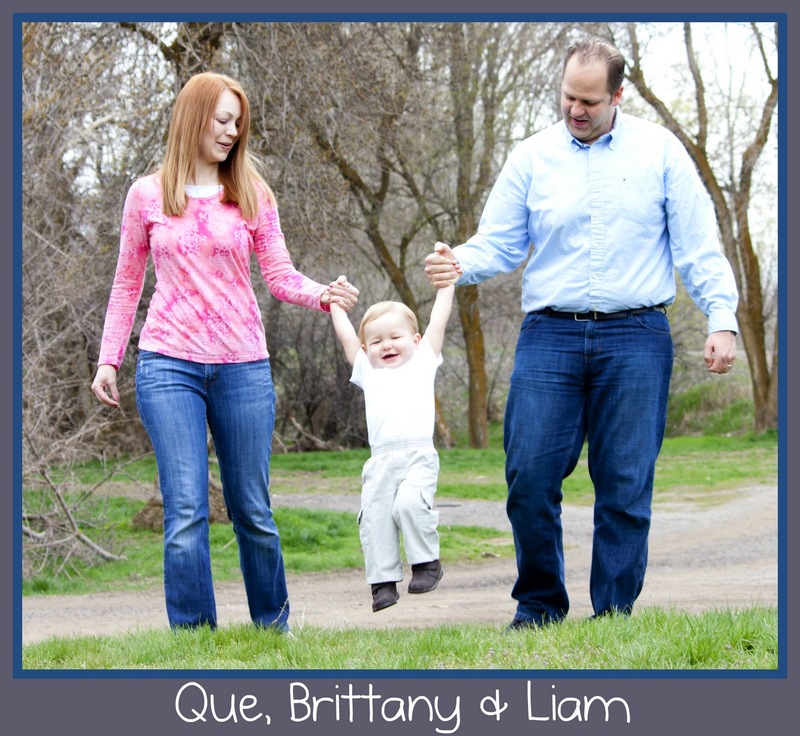 In 1998, Que left to be an LDS missionary in Bolivia and we wrote each other for two years. When he returned, we married in the spring of 2001. In 2009, our son Liam came into our family through the miracle of adoption! He will always know how much his birth family loves him. Right now, we are hoping to adopt, again! We have an open adoption with several members of Liam's birth family and hope to have another open adoption. (Although we are willing to be matched with a birth family who wants little or no contact with us.) Check out our blog to learn more about us as a family, Liam's adoption or just to find out what-in-the-world is up with Que's name. :) We'd love to have you stop by! Check out our blog and spread the word to help our family grow! Bahaha, you are awesome, Holly! Thank you!